Terry Grundy is a visionary and the subject of OTRview IX. 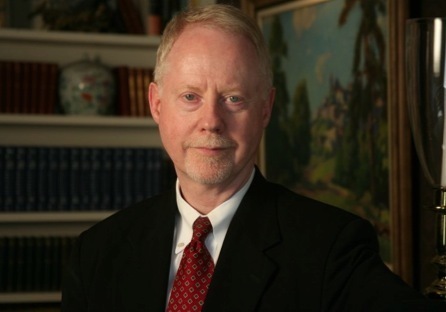 A decade ago when the fate of Over-the-Rhine was in question, Mr. Grundy was instrumental in creating and articulating a “thought movement” that crafted an enlightened vision of Over-the-Rhine’s future. The group was The Urbanists. To learn more about The Urbanists, go here. In recognition of that effort, Mr. Grundy was named Resident Urbanist at the Niehoff Urban Studio at the University of Cincinnati. I first encountered Over-the-Rhine when my wife and I passed through Cincinnati on our honeymoon way back in 1968. The original built environment of the neighborhood was far more intact then than it is now and it was clear to both of us that it was one of the most charming neighborhoods in the U.S. It was also clear to us that it was a neighborhood in decline. When we returned to Cincinnati several years later, we could see just how far that decline had advanced. During the ’80s and ’90s, fine old building after fine old building was being lost to dereliction and demolition and, except for the cultural institutions adjacent to Washington Park, the only legitimate economy left in the neighborhood was the delivery and consumption of social services. That is not a situation that leads to neighborhood stability. As in so many other situations, we had to come right up to the brink of disaster to realize that a new strategy had to be put into place — and that realization on the part of many people has led to the wholesome, balanced redevelopment of the neighborhood that we’re seeing today. In 2002, you partnered with Jeffrey Stec to form the influential The Urbanist discussion group which sought to tackle OTR’s revitalization using urbanist principles. As a founder of The Urbanists, could you briefly explain urbanist principles and why are they essential to the rebirth of Cincinnati’s center city and Over-the-Rhine? Actually, the first Urbanist group that formed in early 2002 was made up of people like Chad Wick, Al Tuchfarber, Steve Howe, Melody Sawyer Richardson and myself. Jeffrey Stec was part of a group of YPs who heard about the Urbanists and asked to join what was and has continued to be a “thought movement.” It was clear to us that we needed to engage in a wholesale reconceptualization of what was happening to older, historic American cities like Cincinnati. We needed to reframe their importance to American society, assess what was causing their demographic and economic decline and think through strategies that could stabilize them and lead to their resurgence. It’s all about choice. Most Americans have choice about where they live and exercise that choice several times during their lifetimes. Any city, any neighborhood, will survive and thrive if it can attract a critical number of people who have choice about where they live and/or if it can hold onto current residents who have choice. A city that experiences over many years a steady net loss of residents who have choice inevitably will look up one day to discover that it is a smaller and poorer city and that a majority of those residents who remain within it are people who don’t have choice about where they live. That is not a sustainable future for any city. A related principle is that “Cities of Choice” are made up of “Neighborhoods of Choice.” This means that a city’s strategy for resurgence must incorporate elements that position a critical number of its constituent neighborhoods as places where people really want to live. Demographics are destiny. It’s clear that the “Cities of Choice” approach is based on demographic axia. However, though demographics are destiny, that doesn’t mean that cities have to be fatalistic about who lives within them. The cities that are able to shape their demographic destinies are the cities that survive and thrive. Everyone knows that Cincinnati has been losing population steadily since at least the 1970s and that the 2010 Census shows us as having lost yet another 10% of our population. However, we weren’t singled out for punishment. Many if not most older cities in the Northeast and Upper Midwest also lost population. But it’s also true that some older cities have begun to attract residents who have choice, even if their net populations still are drifting downward. What we see in those cities is that they are attracting certain key demographic groups that are attracted to city life: young professionals, “empty nesters,” the so-called Bohemian Cluster (artists and other creative types, gays & lesbians, and others attracted by alternative lifestyles), and “New Americans” (skilled immigrants). The cities that are attracting these demographic groups are, in effect, building a new kind of middle class to replace the old middle class that has been abandoning central cities for decades. The question for Cincinnati is whether or not it will be one of the “winner cities” that manage to attract significant numbers of these groups. Successful cities build on their assets. Older cities like Cincinnati have built formidable asset bases over two centuries. One need only think about this city’s magnificent cultural and educational institutions, healthcare facilities, historic architecture, and parks and green spaces to realize this is the case. These assets, vitalized by the cultural patterns of the people who live here, give the city its “indefinable soul,” as someone said. The best Urbanist strategies protect and build on the institutional and cultural assets that a city has and shape those assets into the “urban scenes” that attract new residents. Policy matters. Policies adopted by the federal government, the State of Ohio, Hamilton County, and the City of Cincinnati itself have profound impacts on the wellbeing of the city. The creation of the Interstate Highway system, the neglect of public transit in federal and state budgets, state and local policies that encourage sprawl (and thus divert investment from the city), exclusionary zoning ordinances in suburban jurisdictions, incoherent building codes in the city, and a those federal, state and local policies that have had the effect of forcing older cities to bear more than their fair share of the burden of supporting the poor — all of these policies have eroded the quality of life in older cities and steered people and capital away from them. In fact, many scholars believe that the federal government and many state governments either have neglected to adopt meaningful urban policies or are guilty of an anti-urban bias. Those of us who care deeply about historic cities need to work tirelessly for urban-friendly policity frameworks at all levels of government. 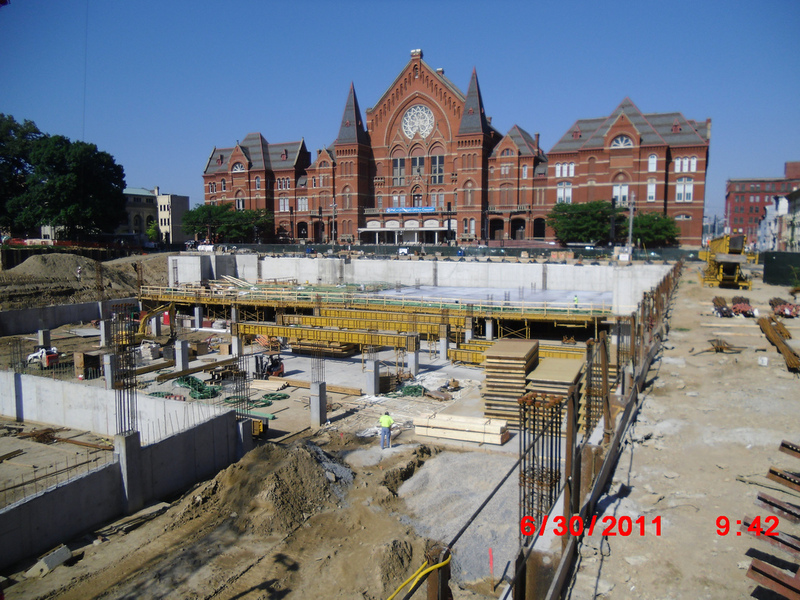 Much has changed in OTR and urban Cincinnati since 2002. As an urbanist familiar with OTR, how would you describe the changes? Yes, much has changed. We have to be pleased by all the new residents in the Central Business District and in Over-the-Rhine. That’s a genuinely Urbanist development and we can only hope that the pace will pick up again when we work our way out of the housing crisis that came with the Great Recession. Developments in OTR like the new School for the Creative and Performing Arts, the Art Academy, the renovation of Washington Park, the revitalization of Findlay Market, and the appearance of smaller, edgy arts organizations are enormously helpful. Likewise, the attention being paid to the Uptown neighborhoods by the City and by Uptown’s major institutions is very important. Economists point out that the CBD and Uptown are the city’s (and indeed, the region’s) most dynamic economic centers. It stands to reason, then, that the neighborhoods that lie between those economic engines are the most strategically important areas of the city. We have to make sure that they become “Neighborhoods of Choice” along with CBD and O-T-R. Al Tuchfarber, one of the original Urbanists, once said that the redevelopment of Cincinnati will follow a pattern roughly parallel to its original settlement sequence, i.e., it will start in the basin (CBD and O-T-R) and then will encompass the hillside neighborhoods that we call Uptown, and then will begin to stretch outward to encompass other neighborhoods that are struggling. He may be right. If he is, we have to take take the long view of how the great old Queen City will regain her regal status. Where should OTR go from here? Residents, residents, residents! Whether or not O-T-R becomes a “Neighborhood of Choice” depends on whether or not it continues to attract as residents the key Urbanist demographic groups we discussed earlier. A burgeoning resident base will drive the development of retail and entertainment venues attractive to the new residents. Public safety (already better than many people realize) will become even better and the neighborhood will evidence the kind of “virtuous cycle” that we always see in resurgent urban neighborhoods. The tough thing — and it isn’t easy to get this right — is to create a successful, sustainable neighborhood that’s mixed-income and mixed-race. That kind of neighborhood is never easy to get to in the U.S. but can happen and does happen. That’s the kind of neighborhood O-T-R can be: mixed-income and mixed-race, safe, clean, beautiful, charming, exciting, and sustainable. This really can happen. Could you explain why the streetcar project and pedestrian-friendly development are important to OTR’s future as a dense, walkable neighborhood of choice? 1. As we said, the CBD and Uptown are the city’s two most successful areas from an economic point of view. Therefore, the neighborhoods that lie between them are the most strategically important neighborhoods in the city from the standpoint of connecting the economic and demographic energies of those two centers. It just so happens that the original streetcar plan set out to connect those two centers by passing through and serving the intervening neighborhoods of O-T-R, Mt. Auburn, etc. Therefore, in its original form, it was a strong Urbanist move and nearly all people who subscribe to Urbanist principles supported the project and do so to this day. 2. Some projects take on high symbolic value to various demographic groups and the fact is that Urbanist-oriented YPs, Bohemian Cluster folks and empty nesters interested in living in the CBD, O-T-R or Uptown see the project as a litmus test of the community’s commitment to Urbanism and the resurgence of the historic core of the city. Not completing the project will be seen by them as showing that the political establishment isn’t really committed to core city renewal and will make them wonder whether they should stay or move to other cities with better Urbanist bona fides. They have choice and exercise it based on their understanding of what makes a city vital — and Urbanist transit strategies are very important to them.